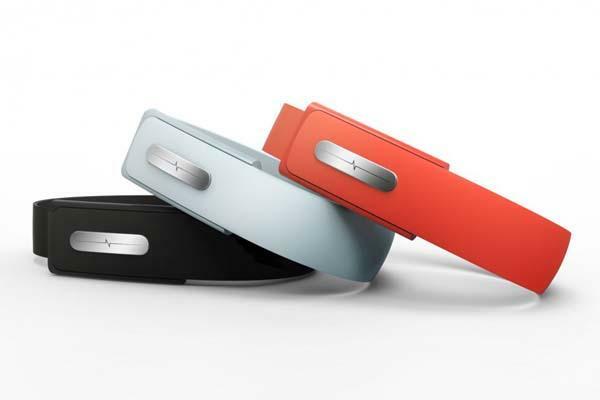 Bionym, a Toronto-based company announced an innovative smart wristband called Nymi. If you want to use your own heartbeat as password and conveniently communicate with your devices, let’s go on checking. The Nymi is a groundbreaking smart wristband that is able to recognize you based on your unique cardiac rhythm. As we can see from the images, the wrist band features minimal and low-profile design, and by placing a finger on the topside sensor, you can easily make the wristband recognize you, when you feel a vibration and see the LEDs illuminate, your Nymi identifies you and turns your heartbeat into your one-of-a-kind password. Using it you can freely interact with your devices at home, in office & shop or outdoor such as activating applications, opening computer, checking emails, unlocking car and etc. Moreover, the smart wristband also comes with Bluetooth and proximity sensor in order to connect with your smartphone and keep it always with you. Apart from that, its SDK allows developers to bring more applications for the wrist band. After the break, check out the following demo video. Nymi smart wristband is available in black, white, and red, each one is priced at $79 (for the first 25,000 orders). If you’re interested, jump to Nymi official site for more details.